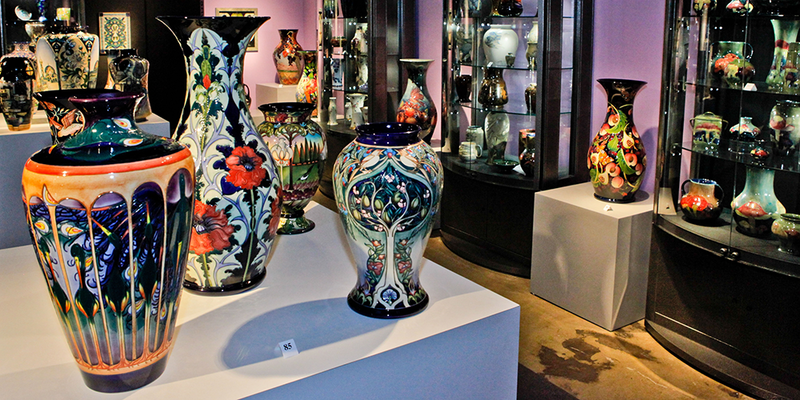 Become part of the legacy begun by the Wiener family and celebrate the art of ceramics and glass at WMODA. Your generous contributions of time and money will help us continue the museum’s mission by presenting exceptional cultural activities in the community. Do you have time on your hands? We welcome volunteers for all aspects of the museum’s work, including docent tours of the galleries and special exhibitions, collections management, photography and administration. Training and support is given to create a knowledgeable team of volunteers. Need qualified, educational guidance in the arts? Students at schools, universities, and colleges are encouraged to apply for internships in curatorship, collections management, designing exhibitions of the decorative arts, and other aspects of museum studies. Looking for community service hours at high school? WMODA enrolls student volunteers to help with many of the administrative tasks of the museum. Get extra school credits and work experience in the cultural arts by volunteering in a vibrant creative environment. Is your family interested in your prized porcelain? If not, WMODA is the perfect home for your treasured heirlooms which will be conserved and presented in a world-class museum of decorative art and appreciated for generations to come. WMODA is a 501c3 not-for-profit corporation and non-cash donations are deductible for income tax purposes to the full extent of the law. Contribute to the future of WMODA with cash donations and planned gifts. The museum welcomes gifts, pledges, bequests and other planned giving options that benefit you and the museum. Your generosity will demonstrate your confidence in the museum’s mission to promote cultural awareness of the arts of ceramics and glass.